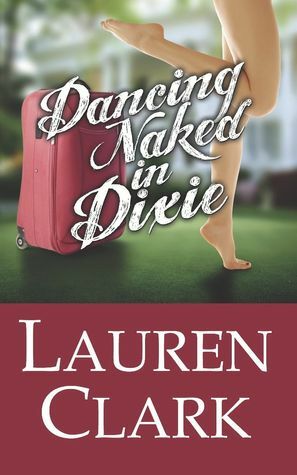 We welcome back author Lauren Clark to Reader Girls today as we host the Dancing Naked in Dixie Blog Tour. This book had me laughing all afternoon! The author shares a guest post on what one will find on the list of a Southern belles' must haves. This tour is presented by Sizzling PR. Welcome. When you think of Southern belles, colorful characters like Scarlett O'Hara likely come to mind immediately! But a true Southern belle doesn't pout, use bad language, or throw hissy fits. She aims to be a lady--always--and is recognized as such by everyone. Because of their lovely manners and gentle ways, Southern belles are often able to get what they want from life ... and this, of course, includes those attractive Southern gentlemen!!! Keep in mind that being a Southern belle does require some thought, practice, and preparation. 1. CHARM - A true Southern belle has a charm that radiates whenever she enters the room. Her genuine smile and sweet southern drawl will turn anyone's head. 2. GENEROSITY - A true Southern belle volunteers for organizations without a second thought. 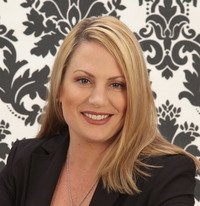 She is active in her community and also through her children's schools. She takes on projects that no one else will consider. This is her second nature. 3. MANNNERS - A true Southern belle knows to put her napkin in her lap and to say "ma'am" and "sir". She says "excuse me" when she accidentally bumps into someone and "thank you" for gifts and compliments. 4. FASHION SENSE - A true Southern belle knows how to dress appropriately. She knows not to wear revealing clothing in public and knows how to dress seductively in private. 5. ENTERTAINING - A true Southern belle always has a pitcher of iced tea prepared for her family as well as unexpected guests. She can cook fried chicken, mashed potatoes, and biscuits. She has her mother's peach cobbler recipe tucked away in a safe place. 6. EDUCATION - A true southern belle knows the importance of education. She will finish high school and pursue further education. She will use the knowledge she has acquired in a career that brings personal satisfaction as well as honor to her family. 7. FRIENDS - A true Southern belle showers friends with kindness and affection and expects nothing in return. She will do everything she can to ensure their happiness and well being. She leans on them for support and expects them to do the same with her. 8. FAMILY - A true Southern belle cares about family traditions. It is important to have her mother's china or her grandmother's wedding band to hand down to her own family. 9. INDEPENDENCE - A Southern belle is the kind of girl who knows full well that she can open a door for herself or even pull out her chair but prefers for a gentleman to do it because it demonstrates a sense of respect with a little bit of royalty thrown in. 10. FUN - Southern belles do love to have fun, especially when young men are around. A Southern belle does appreciate the subtle hint of flirting, and may use her wiles to get what she wants, but always in a transparent, good-willed, innocent way. Julia is a typical New York City gal. She leads a busy life, works, works, works, likes her job as a travel writer, she jet sets, like I said, she's busy. But when she returns from an assignment, there's a new face sitting behind the editor's desk and her next assignment is to hop on a plane all the way to.... Alabama. Eufaula's an interesting town, very unlike what Julia's accustomed to back in the Big Apple. The people there are laid back, drink sweet tea on their porches, wear fancy hats and listen to country music. Over time the charm of the South weaves its magic under Julia's skin. There's a mystery to solve, her estranged father to deal with, a nice guy named Shug (love that name! ), and some lessons to be learned about being alive and living--only one thing's Julia's been doing and it isn't the first one. Julia had me on page one. Her voice, a wonderful mix of humor and sass, got to me and reeled me in. shug was endearing and I loved how Lauren Conrad portrayed the South with genteel respect and attention to detail. My only problem with Dancing Naked in Dixie was I didn't want it to end. Now why isn't this a Lifetime movie or a series on the CW? This novel certainly has charm and lovable characters. Book source: I received a promotional eARC from the author for my honest review during a book tour.